(5) Translate to your own language. Go to the sidebar and Click on GOOGLE TRANSLATOR (56 languages - copy and paste sentences, paragraphs and whole articles, Google translates a whole posting in seconds, including to Filipino!!).(6). From suggestions by readers, I have added some contemporary music to provide a break. Check out bottom of posting to play Sarah Brightman, Andrea Bocelli, Sting, Chris Botti, Josh Groban, etc. (7) Songs on Filipino nationalism: please reflect on the lyrics (messages) as well as the beautiful renditions. Other Filipino Music links at blog sidebar. "The Phillipines makes a decent representative example of the US' first official exercise in colonial imperialism and formal empire [*], also referred to as "civilizational imperialism" - a project we're presently repeating. Lest this seem to be the bellicose pipedream of some dyspeptic desk soldier, let us remember that the military deal of our country has never been defensive warfare. Since the Revolution, only the United Kingdom has beaten our record for square miles of territory acquired by military conquest. Our exploits against the American Indian, against the Filipinos, the Mexicans, and against Spain are on a par with the campaigns of Genghis Khan, the Japanese in Manchuria and the African attack of Mussolini. No country has ever declared war on us before we first obliged them with that gesture. Our whole history shows we have never fought a defensive war. And at the rate our armed forces are being implemented at present, the odds are against our fighting one in the near future." - --Major General Smedley D. Butler, America's Armed Forces: 'In Time of Peace', 1935.1898-1914: The Phillipines. This section is divided into two parts. First, the U.S. occupation of Philippines in the 19th century is discussed. Second, the re-establishment of U.S. control in the Philippines after World War II is examined and Filipino reactions. The purpose of this section is to provide a historical background towards understanding the role that United States played in the Philippines' development in the post-World War I.I. era. 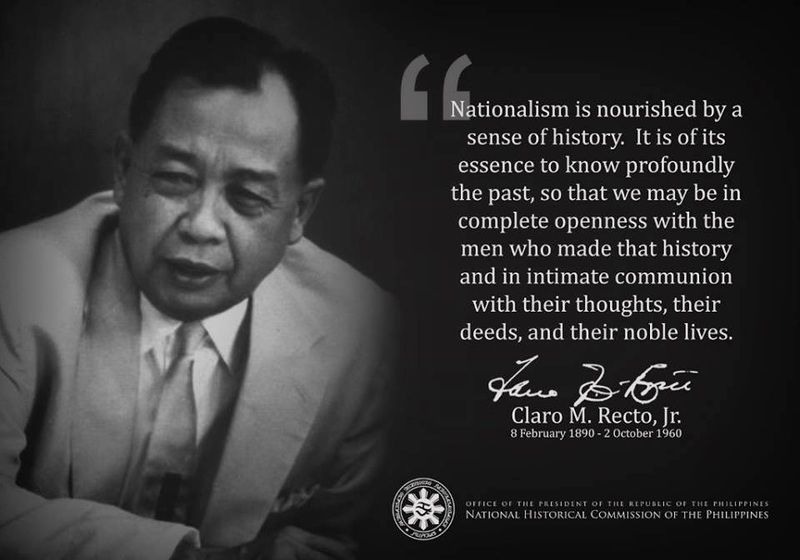 Resisting foreign rule is an integral part of the national history of the Filipino people. Subjugated by Spanish troops in the 16th century, the Philippines endured three centuries of oppressive rule. During that period, internal uprisings were brutally crushed, while Spanish administrators created a professional Filipino elite to control the restless peasant population. In the 18th century, the British arrived in the Philippines to advance their commercial and trading interests, heavily exploiting its labor and mineral resources. With the defeat of Spain in the Spanish-American War in 1898, U.S. forces moved to destroy their Filipino allies who had fought to expel the Spanish. Considered by Filipinos as America's first Vietnam, U.S. military actions resulted in a massive loss of indigenous life. By 1902, Filipino resistance was crushed. The U.S. occupation ended Spanish rule and it forced Great Britain to scale back its interests in the island chain and the Western Pacific region.In 1909, American free trade policies were imposed upon the Philippines, opening its fragile economy to American manufactures and foreign investment. These policies created an import-dependent agro-merchandising economic system that would plague the Philippines well into the 1980s. The leading families of the Filipino elite (the Sorianos, the Zobels, the Ayalas, the Roxases, and the Ortigases) wholeheartedly embraced the free trade system. Because of this system, U.S. multinational corporations, big landowners, and investment capitalists took complete control of the economy, laying the foundations for economic dependency, low international reserves, high unemployment, limited per capita incomes, high inflation, and structural poverty. Politically, the Philippines people adopted an American style Constitution in 1935, with the U.S. promise of full independence on 4 July 1946, raising the deepest hopes of nationalistic Filipinos that their country would finally win its freedom from foreign rule. Meanwhile the economic, financial, and trading ties to the American economy increased the tensions between the Filipino people and the United States. The American co-optation of Filipino elites, however, acted as a firebreak to major internal rebellions and solidified American control of the country. The American control of the government and the economy was a classic exercise in political and economic colonialism, supported by covert destabilization and military operations against both nationalistic and communist dissidents in the Philippines. In this repressive climate, the massive benefits generated by the unequal relationship went to U.S. investors, multinationals, and the Filipino elite. These benefits were not enjoyed by the poor. In the early 1940s, the Japanese occupation of the Philippines displaced the United States, ending the movement to republic status promised by the United States in 1935. Because of the repression and brutality visited on ordinary Filipinos by the Japanese occupation regime, nationalism flowered to new heights, producing a strong indigenous resistance movement intent on defeating the Japanese, and terminating the vicious cycle of foreign imperialism and colonialism. the "special relationship" that Filipinos thought that they had with the United States, despite their deep misgivings about the first imperialist occupation. The Japanese military defeat by combined American and Filipino forces led by General Douglas McArthur reestablished U.S. political and economy control. Under the second American regime, the Filipino elite were co-opted again (they had also profited from their privileged relationship with the Japanese during W.W.II, many of whom were pardoned for their quisling activities after the war). To the surprise of many Filipinos, the promised post-W.W.II American aid (with strings attached as will be discussed below) was insignificant and very costly compared to the economic and financial assistance given to Europe and Japan. Poor and middle class Filipinos, who carried the fight to the Japanese and experienced the worst deprivations during the war, were again the targets of bloody reprisals from the Filipino oligarchy and American military forces. The rise of the HUK insurgency on Central Luzon island in the late 1940s, the Moro secessionist insurgency in the 1950s, and the Marxist-Leninist guerrilla movement of the 1970s demonstrated the anger of the peasantry (and the middle class) with the repressive Filipino oligarchy and the pervasive American influence in the Philippines. The first president of the Philippines, Manuel Roxas (1946-48), allied his administration with the United States and actively promoted the Americanization of the economy. the complete elimination of all direct and indirect restrictions on trade and investment and the acceptance and protection of American firms inside the country. In March 1946, Roxas signed the U.S./Philippines Military Assistance Pact, which allowed the U.S. Military Advisory Group to advise, equip, and train the country's military officers and forces. Additionally, the Roxas administration approved 99-year basing rights guaranteeing the United States (later reduced to twenty-five years, from 1966 to 1991) "the right to retain the use, free of rent, of sixteen bases, an indeterminate numbers of cemeteries and historical sites, and the option to use seven other bases as the United States determines to be required by military necessity." In this respect, over 400,000 acres of choice land came under direct American control. The bottom line was that the national defense of the Philippines was controlled by U.S. military and intelligence services (i.e. Army, Navy, Air Force, and the CIA. The Philippines military became totally dependent on the United States well into the 1980s (to the present -Bert 10/17/2012). The second president, Elpidio Quirino (1948-53), initially allowed American political advisors complete freedom of action to interfere in the affairs of the Philippines. However, he later resisted the deepening American involvement in the country, and he quickly lost U.S. support. Gross interference in the Philippines' presidential election process had become standard operating procedure for the United States, in its quest to protect and advance its political, military, and economic interests in the country. Ramon Magsaysay (1954-59) was elected the third president of the Philippines with the political support of the United States (Lichauco, 56-57). In the economic domain, the Magsaysay administration agreed to the 1954 Laurel-Langley Agreement, which opened the floodgates for individual Americans and firms to invest in the national economy at the expense of Filipinos. The consequences of the U.S.-imposed agreements were devastating, because they prevented the building of an independent industrial sector and agricultural sector capable of competing regionally and globally. The country' emerging agro-merchandising economy became totally dependent on the United States and the other large industrial states. In the 1950s, the weak Philippines economy was economically underdeveloped industrially and agriculturally because of its structural dependency on the American economy. Seeking to loosen its dependency, the Philippines actively pursued an import-substitution strategy to achieve higher employment, reduce domestic inflation and market interest rates, with the goal of creating stronger economic growth and accelerating modernization and industrialization. To do this, the Philippines sought to protect its economy in industry, mining, forestry, agricultural, and semi-manufactures with an overvalued exchange rate, strict monetary exchange controls, high tariffs, and other defensive measures. However, these macroeconomic adjustment policies failed in a period of deregulation and a movement to an export-promotion strategy. These policies reopened the domestic economy to the United States, foreign multinationals, and foreign investors, at the expense of indigenous businesses and the masses of the Filipino people. Prepared for June 26-28 1997 ASPAC Regional Conference, Pacific Grove, California.